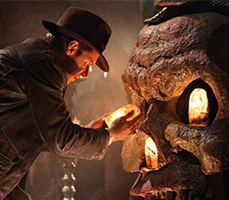 Join us as we examine the true history and archaeology behind Indiana Jones' most recent adventure, Kingdom of the Crystal Skull. 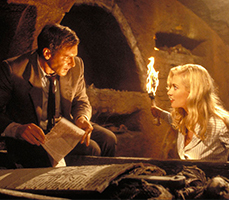 It is the height of the Cold War and Indiana Jones is once again pursuing an artifact that places the freedom of humanity at risk. Find out if the crystal skulls are real. Hop in your lead-lined fridge as we examine Operation Plumbbob, the nuclear test in which Indy unwillingly participated. 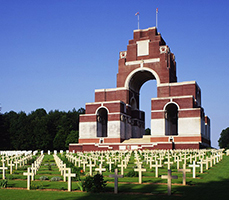 Begun in July of 1916, the devastating Battle of the Somme was a turning point in warfare, demarking the modern combat arena in horrific carnage. Unseasoned and poorly trained British soldiers vastly overestimated the tenacity of German forces. Learn more about Young Indy Documentaries. 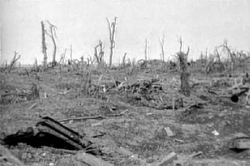 France and Germany have marked the 100th anniversary of the World War One battle of Verdun in north-eastern France with a call for European unity. 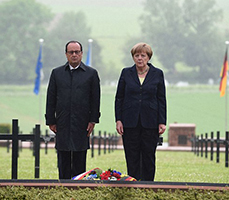 Francois Hollande and Angela Merkel used Verdun as a symbol of both reconciliation between their nations and of EU integration. 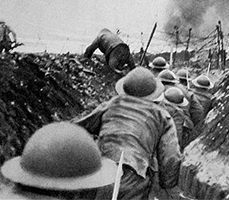 The 10- months battle that began in February 1916 was the longest and one of the bloodiest in World War One. 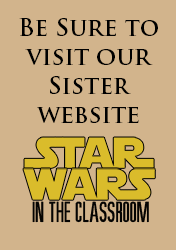 Join us as we commemorate the Centennial of the Great War! Throughout the four year Centennial we will be highlighting the numerous battles and fronts where Young Indy saw action. 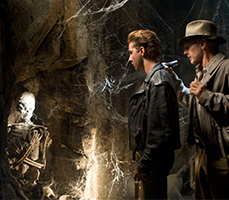 Wondering where Indiana Jones fits in with World War I? Check out our Young Indiana Jones: Volume II section to learn more about Indy's many roles in the Great War!